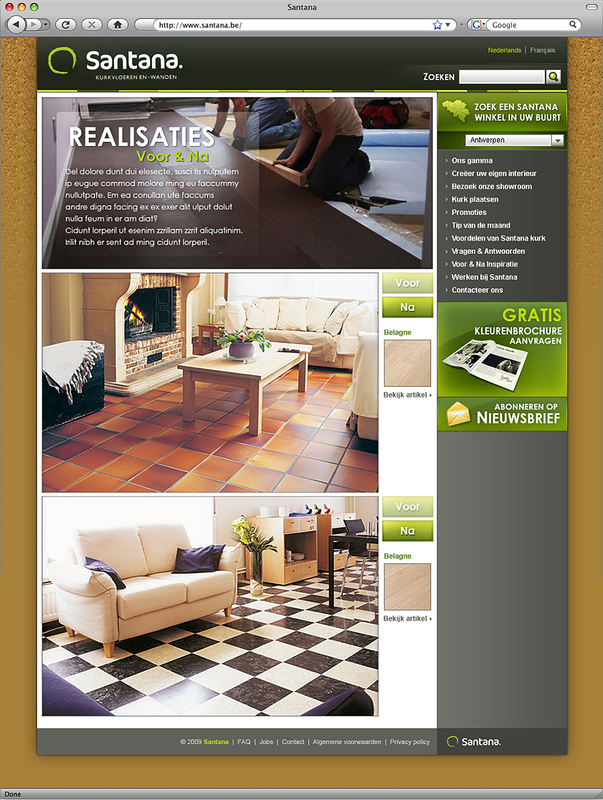 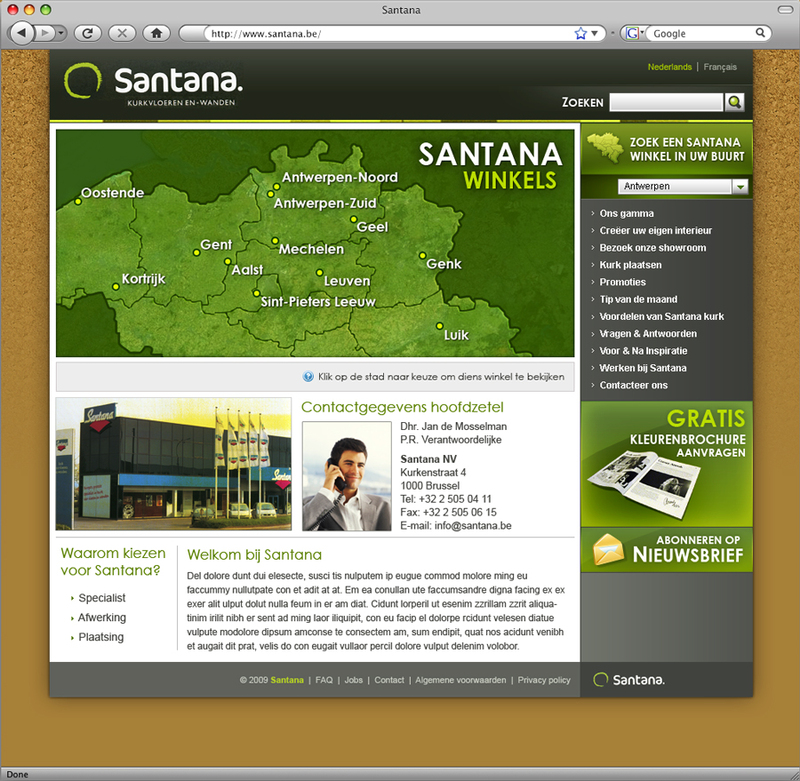 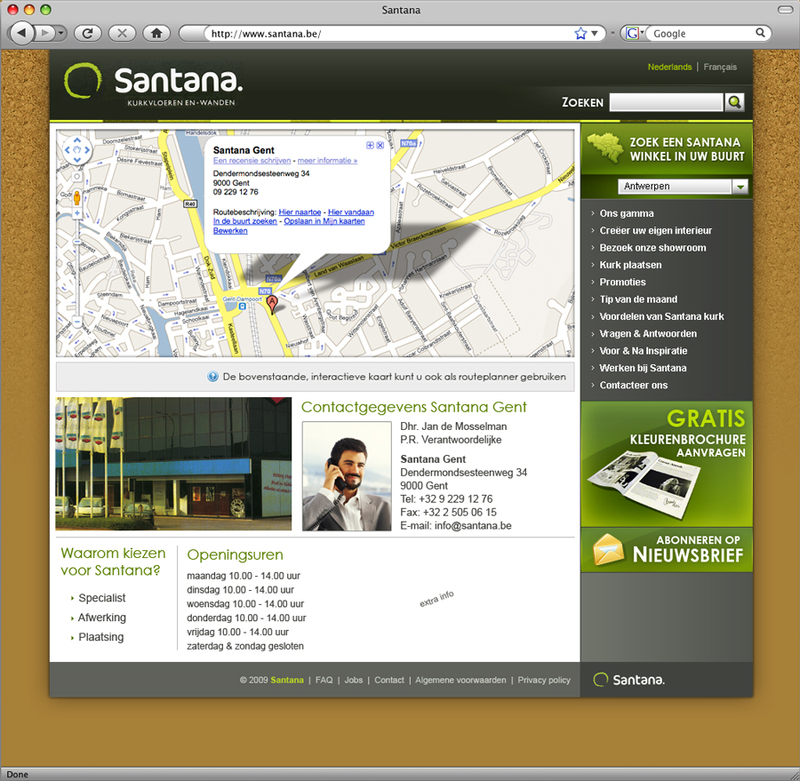 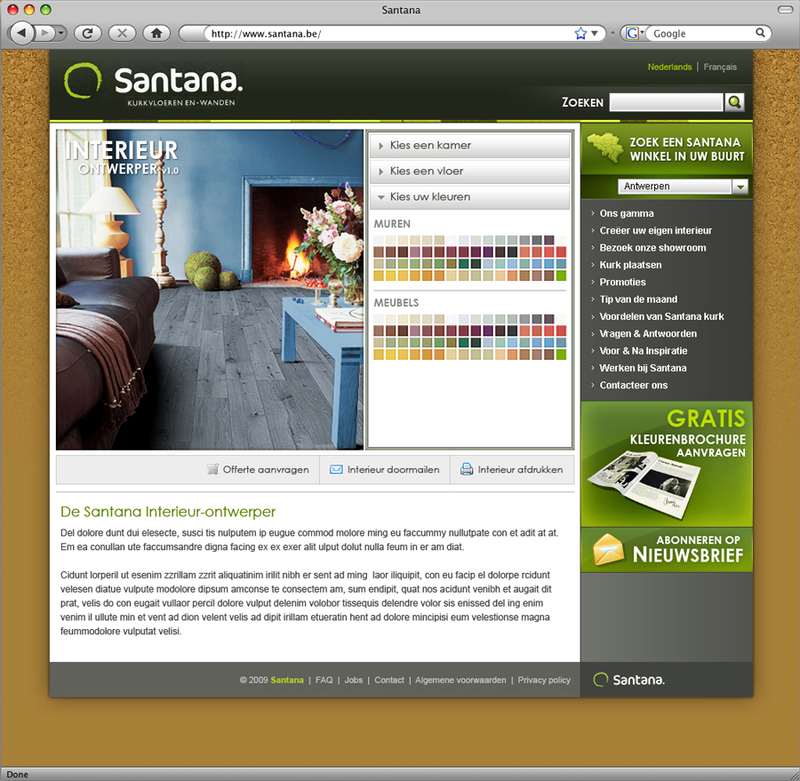 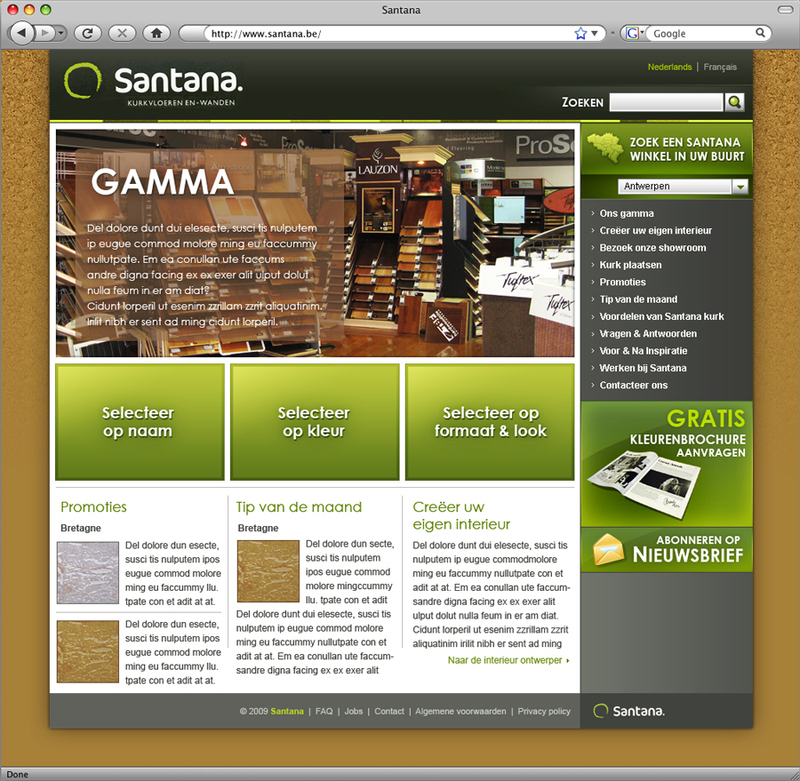 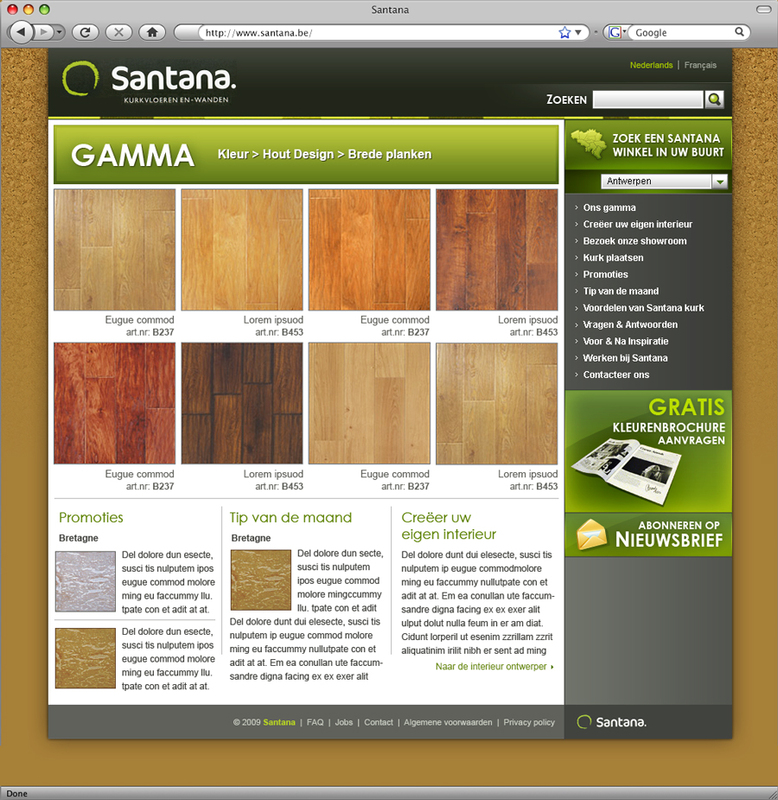 For the new Santana website we created a general website design and 10 page layouts. 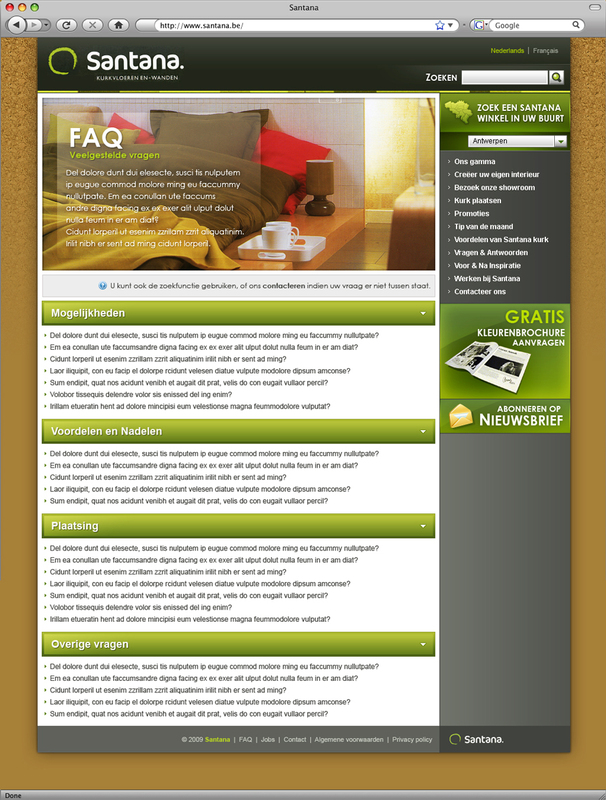 Art direction by Elke Janssens. 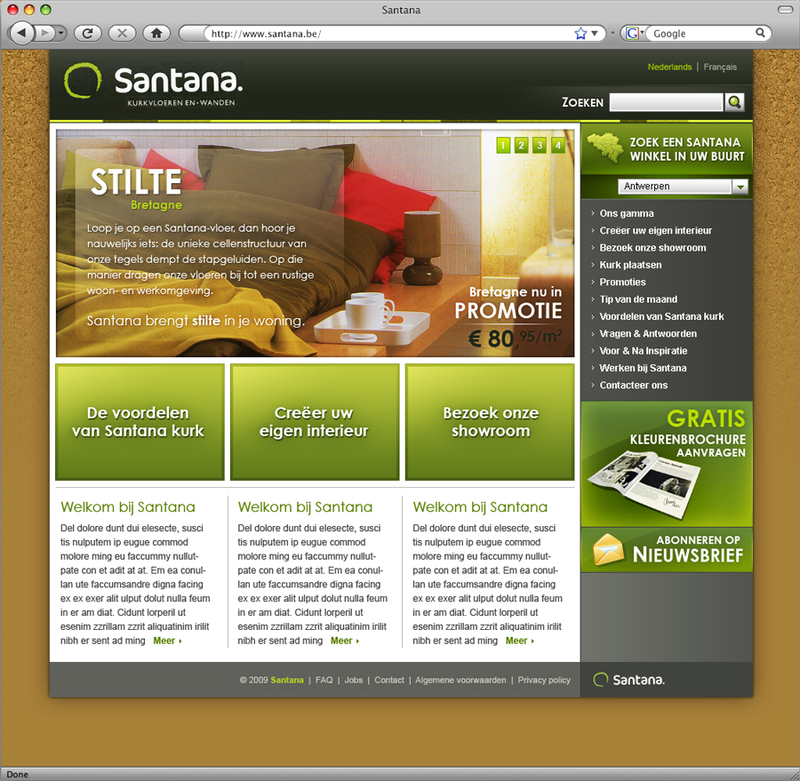 Created in Adobe Photoshop.